Click here for the LAMPS lab website. Click here for a longer and "easy reading" synopsis of my research. Monitoring of ultraprecision nanomanufacturing and additive manufacturing (AM) processes: Empirical and phenomenological study of process machine interactions in ultraprecision machining (UPM), diamond turning (DT), semiconductor chemical mechanical planarization (CMP), fused deposition modeling (FDM), and selective laser sintering (SLS). Sensor-based predictive analytics and quality monitoring of data rich complex systems: Novel neuro-dynamic and graph theoretic image processing algorithms for real-time defect detection in manufacturing processes from heterogeneous sensor data. Surface Morphology and dimensional integrity monitoring: Approaches for non-destructive quantification of ultraprecision surface morphology and dimensional integrity assurance of complex non-euclidean surfaces. Design of wireless sensors networks and digital data acquisition: Customization of wired, as well as wireless sensors for high-speed data acquisition in manufacturing and healthcare applications. Prahalada Rao’s scholastic passion can be encapsulated in three words: Manufacturing, Sensing, and Analytics. His research focuses on thermal modeling, in-process sensor-based monitoring, and diagnosis of additive manufacturing processes (3D printing) . He is the recipient of multiple grants from the National Science Foundation (NSF), including the 2018 NSF CAREER award. He earned the 2017 Yoram Koren Outstanding Young Manufacturing Engineer Award by the Society of Manufacturing Engineers. 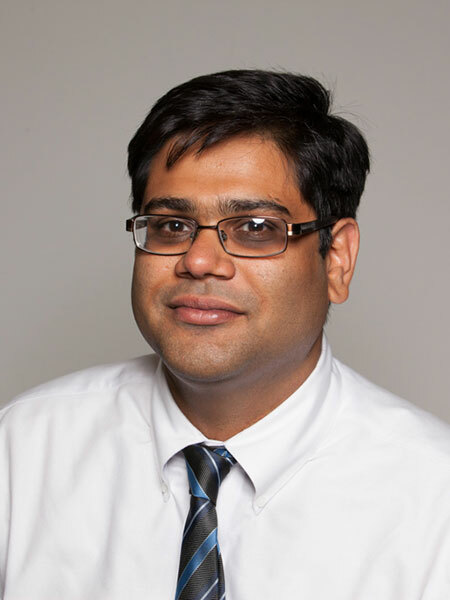 At UNL Dr. Rao teaches courses in Additive Manufacturing (MECH 498/898), Statistics (MECH 321), and Quality Control (MECH 422/822). He is an amateur radio ARRL General Class licensee with the call sign K5RAO. Society of Manufacturing Engineers, Outstanding Young Manufacturing Engineer Award, 2017. * corresponding author; # student under my sole supervision; ^ student supported by NSF REU under my supervision; @ joint supervision with another faculty. Click here for fulltexts of journal articles. F. Imani, A. Gaikwad, M. Montazeri, P. Rao, H. Yang, E. Reutzel, Modeling and In-process Monitoring of Porosity in Laser Powder Bed Fusion Process. ASME Transactions, Journal of Manufacturing Science and Engineering, Accepted, Pending Revisions, 2018. X. Wang, M. Sealy, R. Williams, P. Rao, Y. Guo Stochastic Modeling and Analysis of Spindle Energy Consumption During Hard Milling, ASME Transactions, Journal of Manufacturing Science and Engineering, Accepted, Pending Revisions, 2018. M. Montazeri, R. Yavari, P. Rao*, P. Boulware, In-process Monitoring of Material Cross-Contamination Defects in Laser Powder Bed Fusion, ASME Transactions, Journal of Manufacturing Science and Engineering, Accepted, Pending Revisions, 2018. M. Sealy*, G. Madireddy, R. Williams, P. Rao, M. Toursangsaraki, Review Article - Hybrid Processes in Additive Manufacturing. ASME Transactions, Journal of Manufacturing Science and Engineering, Accepted, In-press, 2017. doi:10.1115/1.4038644. H. Sun, P. Rao, Z. Kong, X. Ding, and R. Jin* Functional Quantitative and Qualitative Models for Quality Modeling in a Fused Deposition Modeling Process, IEEE Transactions, Automation Science and Engineering (Accepted), 2017. M. Khanzadhaglian, P. Rao, M. Tschopp, Linkan Bian*, Characterizing the Geometric Accuracy of Additively Manufactured Components Using Self-Organizing Maps, ASME Transactions, Journal of Manufacturing Science and Engineering (Accepted, Pending Revision), 2017. M.S. Tootooni#, C. Liu, D. Roberson, R. Donovan#^, P. Rao*, Z. Kong, S.T.S. Bukkapatnam, Online Non-contact Surface Finish Machining using Graph-based Image Analysis. SME Journal of Manufacturing Systems, Vol. 41, pp. 266-276, October 2016, doi: 10.1016/j.jmsy.2016.09.007. S. Bukkapatnam*, P.Rao, and R. Komanduri, Experimental Dynamics Characterization and Monitoring of MRR in Oxide Chemical Mechanical Planarization (CMP) Process. International Journal of Machine Tools and Manufacture, 2008, 48(12-13), pp.1375-1386. doi: doi:10.1016/j.ijmachtools.2008.05.006. P. Rao, Chapter 6: Monitoring and Control, in Laser-based Additive Manufacturing Processes, Eds. John Usher and Linkan Bian, Springer. Expected Publication Date: 2017. B. Khoda, T. Benny#, P. Rao, M. Sealy, C. Zhou, Chapter 8: Applications of Laser-based Additive Manufacturing, in Laser-based Additive Manufacturing Processes, Eds. John Usher and Linkan Bian, Springer. Expected Publication Date: 2017. P. Rao, R. Komanduri and, S. Bukkapatnam, Sensor-based Modeling and Monitoring of Chemical Mechanical Polishing, VDM Verlag, ISBN 978-3-639-03564-3. Montazeri, M. and Rao, P., 2017, "In-Process Condition Monitoring in Laser Powder Bed Fusion (LPBF)." Proceedings of the Solid Freeform Fabrication Conference. Madireddy, G., Montazeri, M., Curtis, E., Berger, J., Underwood, N., Khayari, Y., Marth, B., Smith, B., Christy, S., Krueger, K., Sealy, M. P., and Rao, P., 2017, "Effect of Process Parameters and Shot Peening on the Tensile Strength and Deflection of Polymer Parts Made using Mask Image Projection Stereolithography (MIP-SLA)," Proceedings of the Solid Freeform Fabrication Conference. Kanger, C., Hadidi, H., Akula, S., Sandman, C., Quint, J., Alsunni, M., Underwood, R., Slafter, C., Sonderup, J., Spilinek, M., Casias, J., Rao, P., and Sealy, M. P., 2017, Effect of Process Parameters and Shot Peening on Mechanical Behavior of ABS Parts Manufactured by Fused Filament Fabrication (FFF), Proceedings of the Solid Freeform Fabrication Symposium. M.S. Tootooni#, A. Dsouza#, R. Donovan#^, P. Rao*, Z. Kong, P. Borgesen, Assessing The Geometric Integrity Of Additive Manufactured Parts From Point Cloud Data Using Spectral Graph Theoretic Sparse Representation-Based Classification Paper # MSEC2017-2794, 45th Proceedings of the North American Manufacturing Research Institution (NAMRI) of SME/2017 Manufacturing Science and Engineering Conference (MSEC) of the ASME, June 4th-June 8th, University of Southern California, Los Angeles, CA, 2017. R. Salary@, J. Lombardi, P. Rao*, M. Poliks, Additive Manufacturing (AM) of Flexible Electronic Devices: Online Monitoring Of 3d Line Topology In Aerosol Jet Printing Process Using Shape-From-Shading (SfS) Image Analysis, Paper # MSEC2017-2947, 45th Proceedings of the North American Manufacturing Research Institution (NAMRI) of SME/2017 Manufacturing Science and Engineering Conference (MSEC) of the ASME, June 4th-June 8th, University of Southern California, Los Angeles, CA, 2017. R. Salary@, J. Lombardi, M. Tootooni, R. Donovan, P. Rao*, M. Poliks, In-situ Sensor-based Monitoring and Computational Fluid Dynamics Modeling of Aerosol Jet Printing Process. Paper # MSEC2016-8535, 44th Proceedings of the North American Manufacturing Research Institution (NAMRI) of SME/2016 Manufacturing Science and Engineering Conference (MSEC) of the ASME, June 27th-July 1st, Blacksburg, VA, 2016. doi:10.1115/MSEC2016-8535. P. Rao, M. Tootooni#, C-A Liu, D. Roberson, R. Donovan^#, R. Sivasubramony#, S. Bukkapatnam, Z. Kong, Online Non-contact Surface Finish Measurement in Machining using Graph-based Image Analysis Paper # NAMRC 44-5, Komanduri Symposium, 44th Proceedings of the North American Manufacturing Research Institution (NAMRI) of SME/2016 Manufacturing Science and Engineering Conference (MSEC) of the ASME, June 27th-July 1st, Blacksburg, VA, 2016. Note: This Paper was accepted for publication as a peer-reviewed journal paper in the SME Journal of Manufacturing Systems, and was hence withdrawn. P. Rao, J. Liu, D. Roberson, Z. Kong,* Sensor-based Online Fault Detection in Additive Manufacturing, Paper # MSEC 2015-9389, 43rd Proceedings of the North American Manufacturing Research Institution (NAMRI) of SME, June 8th – June 12th, Charlotte, NC, 2015. doi:10.1115/MSEC2015-9389. Invited Poster and Student Fellow: Real-time monitoring of surface morphology variations in ultra-precision manufacturing processes, NSF Civil Mechanical and Manufacturing Innovation Conference, Boston, MA, 2012. Invited Poster and Future Academician Colloquium Invitee: Real-time monitoring of surface morphology variations in ultra-precision manufacturing processes, IIE Industrial Engineering Research Conference, Orlando, FL, 2012. Future Academician Colloquium Invitee: INFORMS, Phoenix, AZ, 2012. Invited paper and CIRP student grant: S.T.S Bukkapatnam, P.K. Rao, O.F. Beyca, Z.Kong, and R. Komanduri, Towards Real-time Detection of Incipient Surface Variations in Ultra-Precision Machining Process, 44th CIRP Conference, University of Wisconsin-Madison, Madison, WI, 2011. Invited paper: R. Komanduri, S. Bukkapatnam, P.K. Rao and U. Phatak , Experimental Dynamics Characterization and Monitoring of Chemical Mechanical Planarization Process, Invited Paper, CMP-MIC 2007, Freemont, CA. Invited Poster and Student Fellow: Monitoring of Surface Generation in Ultra-Precision Machining using Multi sensor Fusion, NSF Civil Mechanical and Manufacturing Innovation Conference, Atlanta, GA , 2010. Invited Poster: Heterogeneous Wireless Sensing and Modeling of Chemical-Mechanical Interactions in Chemical Mechanical Planarization Process for Microelectronic Applications, NSF Nanomanufacturing Workshop, Boston, MA, 2009. Multiple invited talks at INFORMS conference, 2005, 2010, 2011, 2012, 2013, 2014 (2 talks), and 2015 (2 talks). Multiple invited talks at ISERC conference, 2012, 2015. Multiple talks at NAMRC/MSEC, 2015 (2 talks), 2016 (3 talks).